For those who believe GoDaddy didn't eat enough humble pie for backing the Stop Online Piracy Act (SOPA), the company's taken further measures to backtrack on on its earlier support of SOPA. GoDaddy's president issued an apology Thursday evening pledging to repair relationships with domain holders who bolted to competitors over the issue and to reiterate its oppostion to the proposed legislation. "We have observed a spike in domain name transfers, which are running above normal rates and which we attribute to Go Daddy's prior support for SOPA, which was reversed," GoDaddy CEO Warren Adelman said in a statement delivered to media outlets via email. "GoDaddy opposes SOPA because the legislation has not fulfilled its basic requirement to build a consensus among stake-holders in the technology and Internet communities," he added. GoDaddy withdrew its support from SOPA on December 23 and was removed from the list of the bill's supporters last weekend, but its competitors hammered away at its past transgressions and continued to urge GoDaddy domain holders to jump ship. Thursday, for example, was declared "MoveYourDomain Day" by GoDaddy competitor Namecheap. On that day, domain holders who switch their registrations to Namecheap can do so at below cost, $6.99 per transfer, with the coupon code SOPAsucks. In addition, $1 from every transfer will go to the Electronic Frontier Foundation (EFF) to help fight SOPA and its Senate counterpart, the Protect IP Act (PIPA). Of all GoDaddy's rivals, Namecheap has been particularly aggressive in its campaign against the Net's largest domain register. Earlier this week, it charged that GoDaddy was engaging in dilatory tactics to discourage its customers from transferring their domain business to Namecheap. Those delays turned out to be caused by administrative problems between the two registers. The campaign to encourage domain holders to desert GoDaddy began on Reddit and its success seems to have emboldened members there for more direct action against anti-piracy legislation. 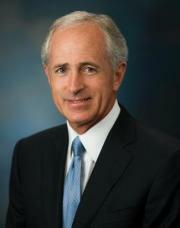 A thread on the social news site is calling for an initiative named "Operation Cork Screw" aimed at ousting from office Sen. Bob Corker (R-Tenn.), who supports PIPA.